This morning my alarm woke me up at 6.30. I stretched my arms and legs and dragged myself into BBGs nursery. She had slept through the night and for anyone who breast feeds you will understand the ache I was feeling, plus BBG never sleeps through the night. Bleary eyed I bent down and scooped up my ‘asleep’ baby, only as I looked down she was wide awake just absolutely lifeless. Sometimes this happens when she first wakes but the fact she hadn’t woken during the night made me worry incase she had been like this for awhile, you see when she has an episode she doesn’t make a noise and so she doesn’t cry. I brought her into my room and laid her on my bed while I sorted the big kids. For 2 hours she just laid with the odd flicker of a finger movement. 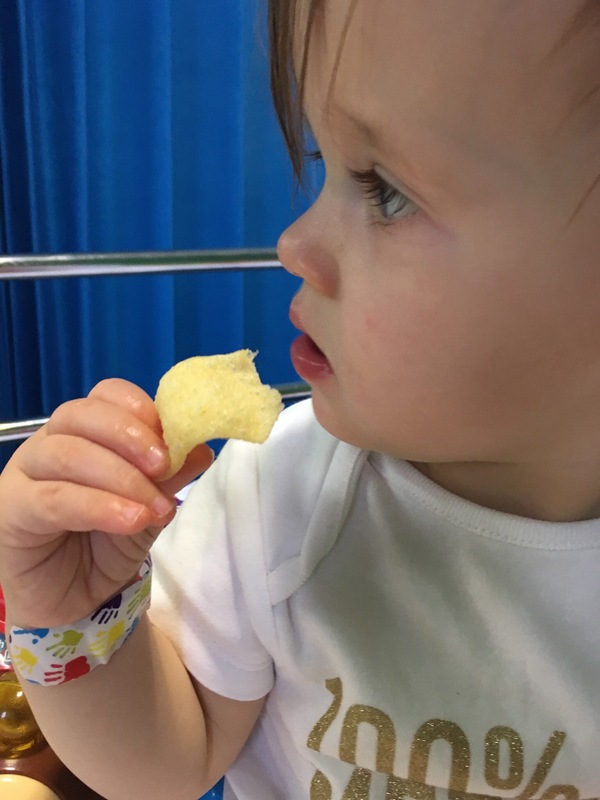 We decided once I had done the school run I would run to the hospital to get her bloods taken. A range of conditions the drs are looking for are called Channelopathies, and for these, they need blood taken during an episode to check for increased or decreased level of iron, potassium and magnesium. 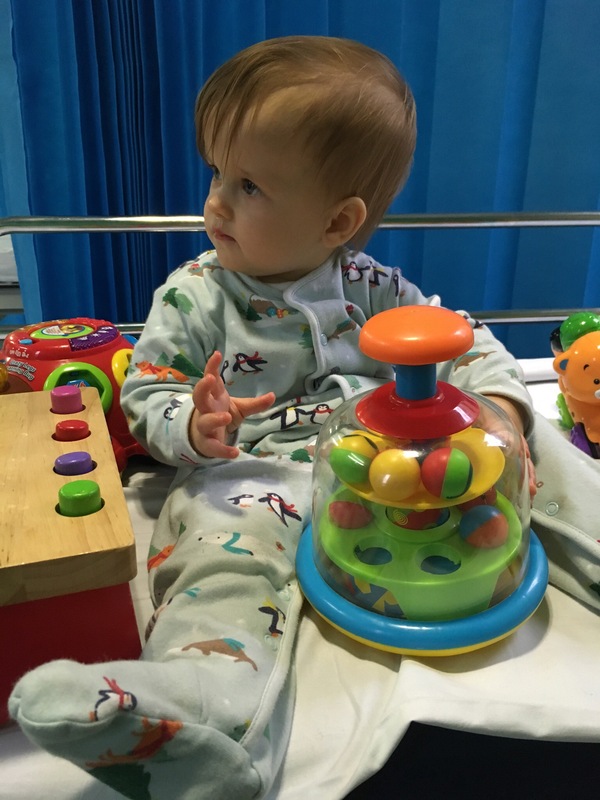 Due to the time restraints on getting these blood tests done, we have been given open access to the paediatrics ward. We ring ahead to say we are coming in and they prepare a bed and let the doctors know we are on our way in. I did the school run and drove straight to the hospital. I didn’t even get the pushchair out of the boot, BBG was just in my arms! I just grabbed her out of the car and ran to the ward. I got onto the ward and the initial observations were taken along with BBGs long history! At that particular time, her heart rate was 201 and her oxygen stats were 96%. She finally started to come out of the episode 2hr 45minutes later. This didn’t mean she was better, it meant that she moved but still had to lean and be held a lot. After 6.5 hours BBGs heart rate finally went down to 144. The nurse gave me a pot to get BBG to pee in. Have you ever tried to get a 14month to pee into a pot!! If you haven’t it’s rather frustrating. After one accident (she peed all over my jeans), I finally got a pee sample 6hours after arriving! 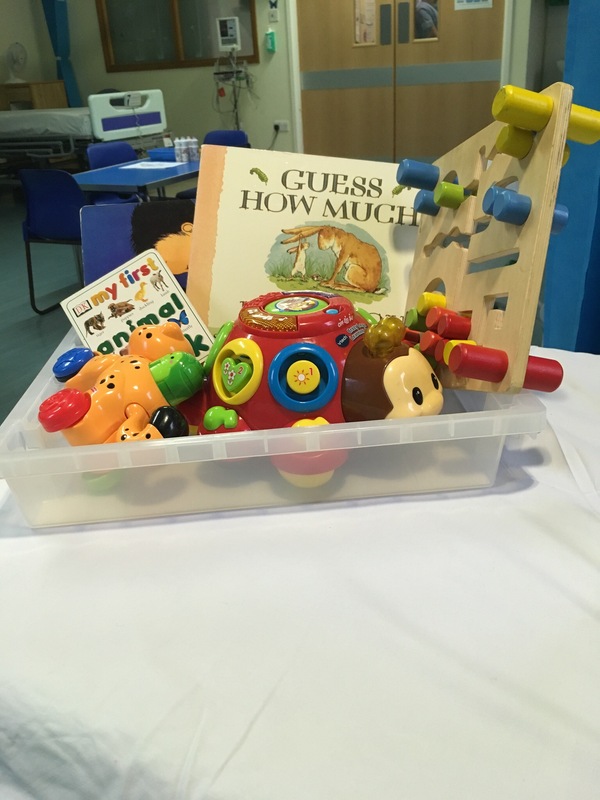 We went into the procedure room where we had a play therapist who was diverting BBGs attention to what was happening with a mixture of sensory equipment. This was happening as 2 medical professionals drew blood and filled a lot of viles. At one point BBGs blood squirted all over the doctor and he did have to go and get another outfit on. 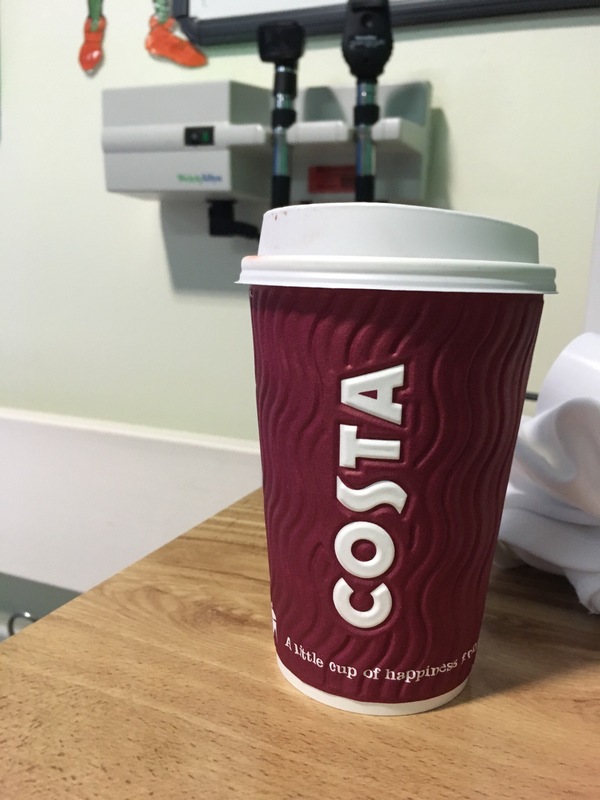 So thankful that the hospital had a coffee shop downstairs as although it won’t cure my baby it will make trips to hospital a lot easier. After spending all day at hospital being observed and waiting for blood test results to come back, we had some lovely mummy daughter bonding time. At one time I went to the toilet and came back to a box full of baby toys from the play therapist. Around an hour later she came back round to ask if we wanted a different set of toys. It was absolutely lovely and was just what you needed to make a stressful situation that little less stressful. At 4.30 we were finally given the blood results, and these were all normal. I can’t help but feel disappointed as there was a part of me hoping that they would come back abnormal and point towards a type of Channelopathy and we would have a diagnosis. We didn’t get that sadly, however, I will take away the fact we can rule some things out! Although I wish we could have walked out with a diagnosis, I’m hopeful that GOSH knows where to look next. I guess the trouble with being undiagnosed is the fact you never quite know what path the doctors will take next or when results will be said that could finally give a diagnosis. That is just something you have to live with when caring for someone with such a special and unique baby.